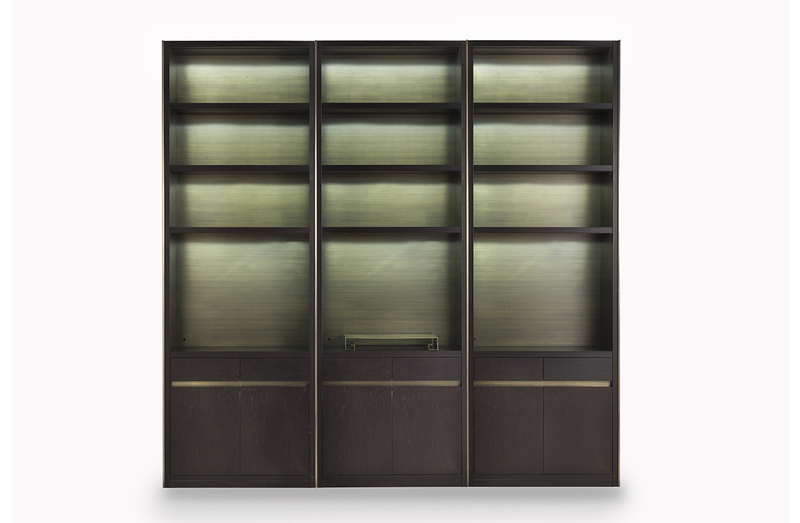 Bookcase with structure in oak or walnut wood in a choice of tints. Optional upgrades include back of shelves clad in brass, and touch-activated LED lighting. Note: Multiple columns can be combined into a larger unified unit. 3 columns are shown in featured images. Wood finish options: Oak in natural, grey, smoke, or mocha tint. Walnut wood in natural, dark, or mocha tint.